Loved the villa! It was very comfortable with all the amenities and lots of little extras (beach towels, games, hammock...). The location was great: in a quiet neighborhood and close to a beautiful beach. Jeanine, the on-site manager, was very helpful and responsive. The property was clean and spacious and had everything we needed for our family holiday. The bedrooms were really comfortable and plenty of storage and a great dressing area with large mirrors. The kitchen was well equipped and handy to have cool boxes for the beach. We really enjoyed sitting on the terrace and the girls loved chilling in the hammock. The lounge area was really comfortable too and nicely layed out. Development, our family really enjoyed the villa and the shared pool. We loved our time in Barbados and will definitely look to come again in the future. All the information given from Caroline before we travelled was really useful and we were well looked after by Jeanine who organised our transfers and did a food shop before we arrived. Also Karen who came in to clean the property during our stay was delightful. For us it was so much better than staying in a hotel, we would be very happy to stay again at Number 1 Porters Court. We are delighted you enjoyed your stay at No 1. We try our best to make your holiday as comfortable as possible. We hope you and your family visit another time. Lovely villa in good location. Very well equipped and comfortable. 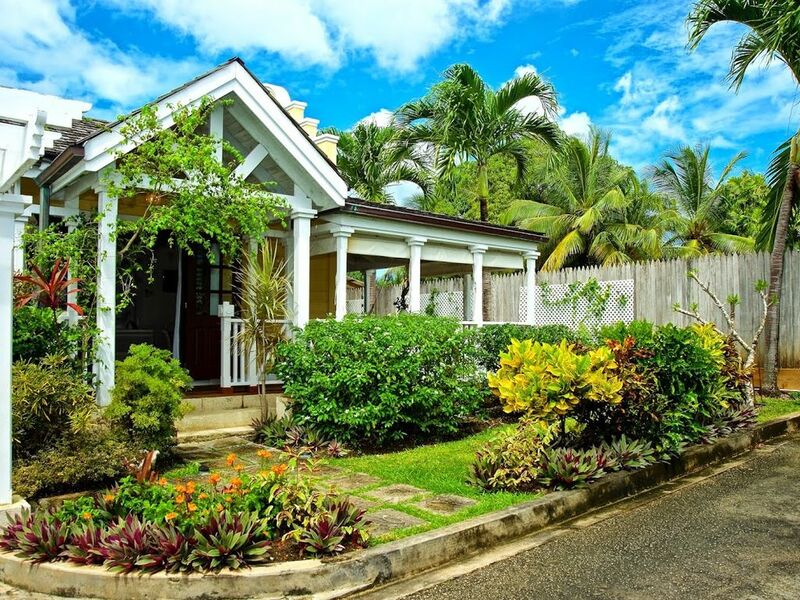 Easy access to beach and holetown. Would definitely recommend and hope to return in the future. Thank you, Gail for the review. We are delighted you enjoyed your time at No 1 and we hope you will return. Amazing Property in a superb area on the west coast. Beautiful villa in a wonderful country! We loved our stay at Number 1 Porters Court. We stayed for 12 days over May half term. We found the villa spacious and well equipped, perfect for a family of 4. Most mornings started with a swim in the communal pool, with the surrounding gardens a haven for hummingbirds, one morning I counted 5!! The location of the villa was perfect, 5 mins walk to Alleynes beach which in my opinion is the best on the west coast. We used the local buses a lot so didn't feel the need to hire a car. We ate out at Lone Star and Santi which were both within walking distance from the villa, on other occasions we jumped on a bus to Holetown. We also ate in a few evenings as the kitchen was so well equipped. Every possible utensil was provided. Jeanine was very helpful and helped with transfers to and from the airport. Karen the housekeeper visited twice a week and was very friendly and efficient. All in all a fabulous holiday in Barbados, this was our third visit to this wonderful country and will be back again next year. We'd definitely love to stay at Number 1 Porters Court again!! Thank you, Alison, we are delighted you enjoyed your stay at No 1. I can't think of a better way to start your day swimming in the pool whilst watching the Hummingbirds feed on the tropical flowers. We hope you visit again. We have recently returned from a wonderful 9 day stay at One Porters Court. The villa is beautiful and extremely well equipped. The location is perfect, a short walk to the beach and local restaurants/beach bars. Lone Star was a Christmas eve treat and lived up to all of our expectations. We arrived to an spotlessly clean villa, and Jeanine the property manager was very helpful. Thank you Caroline for your prompt responses during the booking process. We fell in love with Barbados, and would love to return to One Porters. Thank you Louise for your review. We are delighted that you enjoyed your stay and hope to see you again at No 1 Porters Court. Rates are subject to change until booking is confirmed.